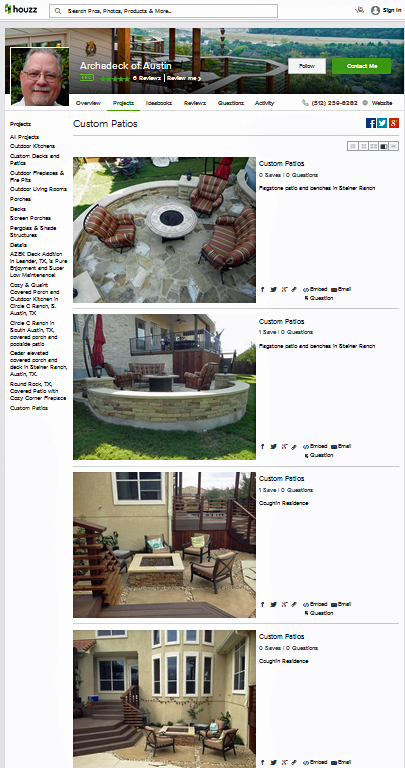 Follow Archadeck of Austin on Houzz — Your One Stop for Outdoor Living Inspiration! Where do you search when you are in the market for updating and improving your home, landscape and outdoor spaces? Naturally, most of us turn to the worldwide web. The internet is overflowing with websites, forums, imagery and hubs offering new ideas and inspiration for planning your home improvement or outdoor living project. One of the most admired and frequented of all these is Houzz. 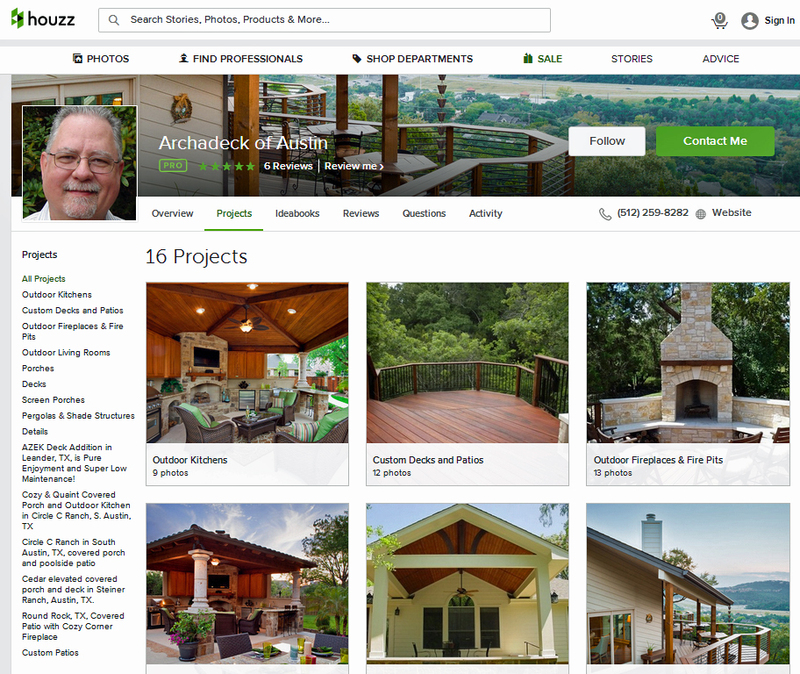 Archadeck of Austin was just awarded the “Best of Houzz 2016” award in the category of Customer Service. As the leading platform for home remodeling and design, bringing monthly users of more than 25 million homeowners and home professionals together, Houzz utilizes their annual survey and analysis to compile their “Best of Houzz” list of home professionals. In the category of Customer Service, award recipients are determined by a variety of factors, including the number and quality of client reviews a professional received in 2015. That means the 25 million+ monthly users that comprise the Houzz community recognized Archadeck of Austin’s commitment to excellence…wow, what an honor! Gone are the days of clipping pictures from home and garden magazines. 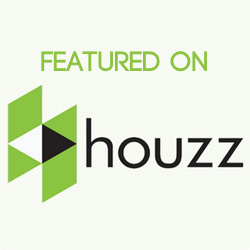 Houzz is an interactive platform for home remodeling and design that is bringing homeowners and home professionals together in a uniquely visual community. Here at Archadeck of Austin, we realize when homeowners are in the market for any kind remodel or addition to their home, they do a lot of research, look at hundreds of photos and reviews and get quotes from several professional companies. Adding an outdoor living structure is no different. That’s why we are thrilled to be part of the largest go-to site for remodeling, design ideas and imagery. What better way to let our potential clients view an extensive portfolio of our completed outdoor living space designs first hand? Even though every project we design is created specifically for our clients’ individual needs and desires, our galleries within Houzz can spark ideas on how we can create a truly custom outdoor living space for you, too! Houzz is easily accessible from any computer, smart phone or tablet. Once inside, you can view Archadeck of Austin’s extensive Houzz galleries of beautiful outdoor living spaces. You can find and save photos from our galleries to ideabooks you create and name yourself and reference back to them anytime you like! These saved images will also help us put together a design that is exactly what you want for your outdoor living environment. We are constantly adding new images to our galleries, too — so there is always a new source for inspiration! If you are ready to enjoy your backyard again with a custom designed and built outdoor living space, contact Archadeck of Austin today. We build decks, porches, patios, outdoor rooms, pergolas, outdoor kitchens and fire features, and complete outdoor living environments, with the finest materials to suit your individual and unique tastes. Call us or email us for a free consultation at ( 512) 259 – 8282 or email us at jim.odom@archadeck.net. This entry was posted on March 1, 2016 by austinporchandpatio. It was filed under Archadeck of Austin, As seen in, Austin decks, Austin outdoor kitchen, Houzz, Multi-structure outdoor living areas, Natural stone outdoor structures, Outdoor fire place, Outdoor Kitchens, Outdoor rooms, Patios and was tagged with Archadeck of Austin, Archadeck of Austin design, Archadeck of Austin wins best of Houzz 2016, Archadeck of Austin's extensive Houzz galleries, Austin deck builder, Austin outdoor room, Austin patio builder, Customer service, Houzz.